Sanoma Learning serves about 10 m pupils and one million teachers in Northern Europe. Our experience in education dates back to 1833 and these days we are known internationally for two reasons. Firstly, for quality: we’re a leading and integral partner in some of the World’s best performing education systems including Finland, The Netherlands, Belgium, and Poland, as well as Sweden. Secondly, we’re innovative and are frontrunners in the digital transformation: of our sales of about € 300 m, about € 50 m are generated from pure-play digital and a further € 100 m from multichannel solutions, making us arguably continental Europe’s biggest ed tech company today. I believe there are three cornerstones of excellence in education: skilled teachers, motivated pupils, and high-quality learning materials. And I believe that the next generation of learning is personal: by tailoring pedagogy, curriculum, and learning support to the needs of the individual learner we can improve learning outcomes, enhance workflow efficiency, and support engaging learning. That’s why I’m thrilled about the work we’re doing with Knewton, the global leader in adaptive learning technology with over 7 million students expected on the platform by the end of 2014. Knewton technology uses data to understand how individual students learn. Sanoma Learning products integrated with Knewton will include personalized content recommendations for students and in-depth reporting for teachers. Knewton technology will allow us to scale personalization across our wide portfolio of course solutions, improving learning experiences for every student. Malmberg in the Netherlands is the first Sanoma company (and the first publisher in Continental Europe!) to integrate with Knewton technology. Malmberg’s first Knewton-powered course will be a new grammar-specific English Language Teaching module. This module will provide targeted practice for any ELT student looking to focus on critical grammar concepts. Like all Knewton-powered courses, the course will feature interactive reporting dashboards to help teachers to pinpoint struggling learners in need of intervention and engage advanced students with more challenging material. Malmberg’s instructional experts and Knewton’s adaptive course designers are making great progress in the development and building phases. Students and teachers will pilot the module early next year. Meanwhile, the teams are also in early planning phases for product builds in other subjects. I can’t wait to see these Knewton-powered products come to life. I truly believe they will contribute to better learning! The collaboration in the Netherlands is just the beginning. We’re looking forward to rolling out Knewton-powered products across Europe, continuing to empower teachers and motivate students with high-quality, cutting-edge learning products. This entry was posted in Big data, Edtech, Education, Innovation, Sanoma Learning, The Netherlands and tagged Adaptive Learning, Edtech, Education, Knewton, Malmberg, Sanoma, Sanoma Learning on 29/07/2014 by johnrichardmartin. This week I joined the Knewton Symposium in San Francisco and was a panel speaker on the subject of “Digital Readiness”. We have recently started partnering with Knewton, which I am enthusiastic about since I believe adaptive learning is the next generation. I joined the meeting to make sure I’m up-to-date on the latest thinking and for the networking opportunity. – Michael Crow, President of Arizona State University (I was intrigued by his words about the “rise of the super-faculty” – it sparked my interest in the potential “rise of the super-teacher” enabled by technology in schools). It was great to hear the “Big Ideas” of entrepreneur Tyler Bosmeny, CEO of Clever about solving Single-Sign-On and intrapreneur Ben Schrom from Google Classroom about simplifying digital workflows. (It was nice that he cited me and my “killer app of education is the teacher” quote too, a boost for Finnish thinking there :)). 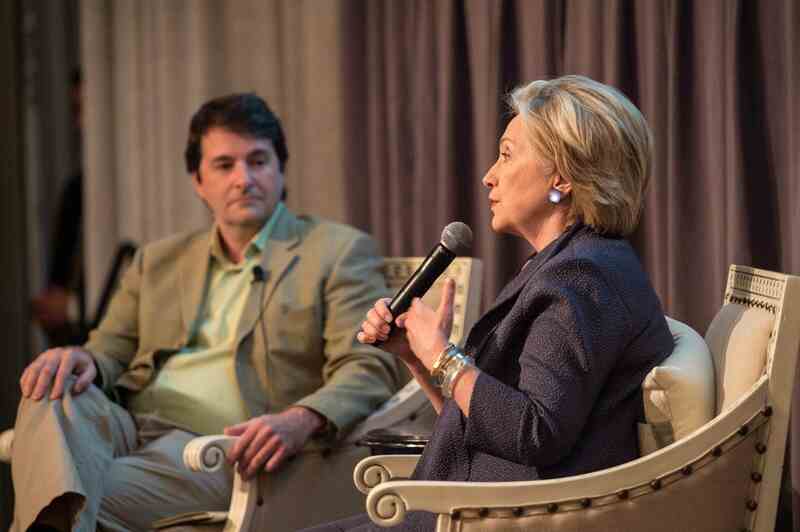 From my perspective, the highlight of the meeting was the interview with Former US Secretary of State Hillary Rodham Clinton. She talked intelligently and engagingly about international affairs in a no-nonsense and straightforward way. Firm but fair. I liked her passion and commitment to education, for example with the “Too small to fail” program, helping to improve the health and well-being of children aged 0-5 years. Her words about making sure that schools are fit for children to attend and treating teachers as professionals appealed to me too. We had a short photo session afterwards, and even though we exchanged only a few words, she was funny and nice and I really liked her. Go for President Hillary! 1. The move to adaptive learning is the next generation. I believe we are right to be investing. 2. It will be of great importance to evidence and improve outcomes and to take a more proactive stance in positioning outcomes in our value proposition. We need to raise our game here. Our Learning Lab starting in September can help us in that regard. 3. It’s good to look and be outside, to be up-to-date with the latest developments and to be connected with talented people in the industry alongside the talent we have at Sanoma Learning. It’s always great to be in the USA. I love the optimism and the way they go for it! Thanks to the Knewton team for having arranged a great meeting! 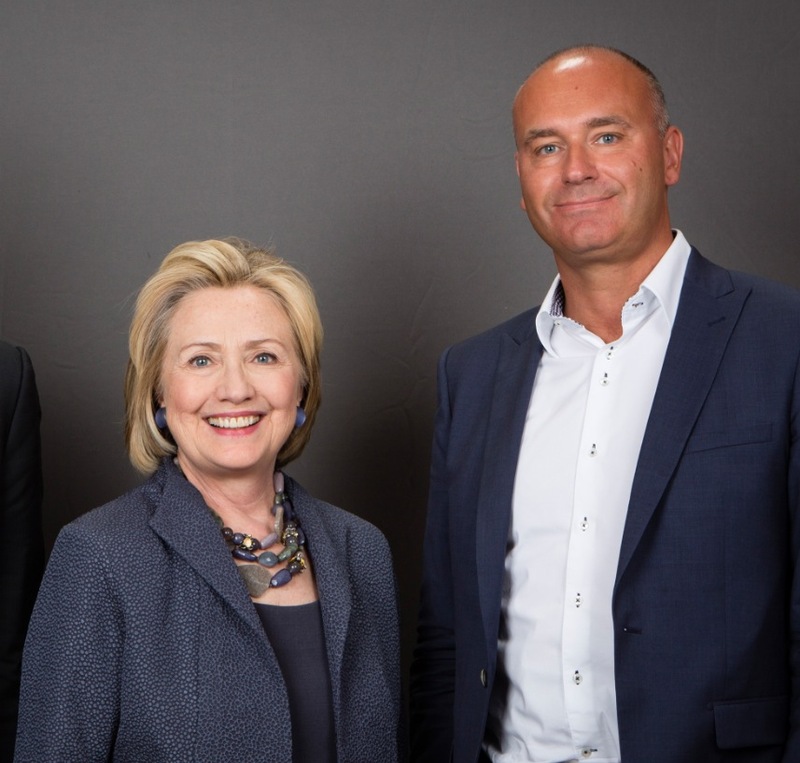 This entry was posted in Edtech, Education, Innovation, Learning, Learning Outcomes, Sanoma Learning, Teaching and tagged Adaptive Learning, Hillary Clinton, Knewton, San Francisco, Sanoma Learning on 24/07/2014 by johnrichardmartin.